"Asha has taught me to be easy on myself. That it’s okay not to be perfect." Amara Hopkins has been a City Impact kid all her life. 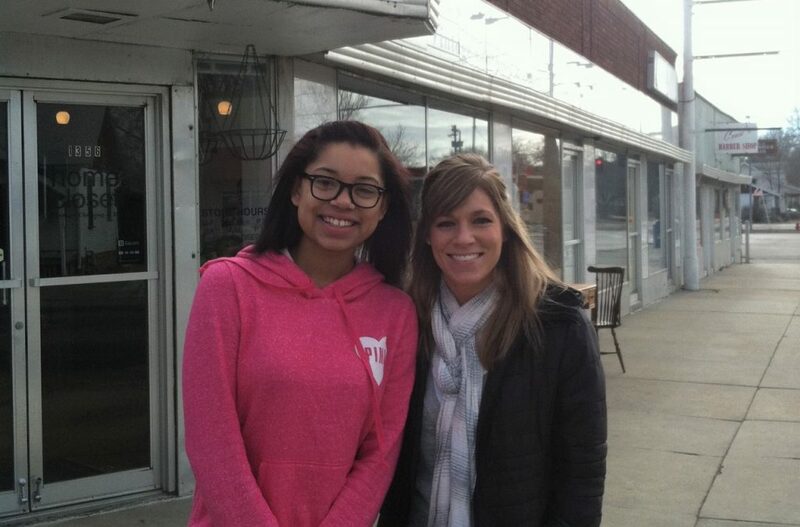 Her mother, Ashley, was one of the very first students to go all the way through City Impact’s programs. Amara’s journey began with Impact Reading Center, transitioned to the Impact Faith Academy, and later the Impact Leadership Academy. From the beginning, she had a passion for personal growth and academics. A motivated student, Amara began thinking about college when she was in elementary school. She realized early on that she wanted to pursue a career in teaching. Amara wanted to become the first in her family to earn a high school diploma, and then go on to college. 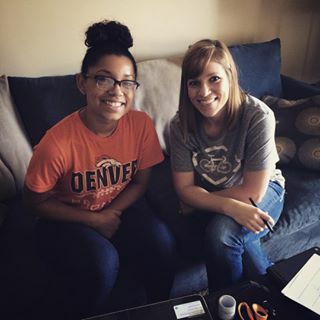 As a 6th grader, Amara became interested in City Impact’s Strengths for Life Mentoring program. “I spent all my time at City Impact anyway. Why not one more club?” said Amara with a smile. Soon, Amara was matched with her mentor, Asha, who shared her passion for learning. Asha was the perfect match for Amara, excited to develop and encourage her mentee to reach her full potential. Amara was just 12 years old, when she and Asha were matched as a mentor pair. Although she already had aspirations for a career in teaching, Amara was uncertain of what steps to take to get there. A typical oldest child, she wanted to make her mom, Ashley, proud by succeeding independently. “I have other sibling that my mom needed to worry about. I had to do this on my own. City Impact had the resources, and I wanted to use them,” said Amara. Asha recognized Amara’s potential and knew just how to guide her, organizing career site visits, suggesting insightful personality tests, and offering helpful advice out of her own experience. She found that open communication was key in reassuring and empowering Amara. “Amara has always wanted to be a teacher. She WILL teach, that much I know. But she needed me to act as a sounding board, a check point. I have been through the process of ACTs and college applications. I just wanted to offer some of my own knowledge,” said Asha. The blessing in the match has been obvious to Amara. “Asha has taught me to be easy on myself. That it’s okay not to be perfect,” said Amara. Today, Amara is a senior in Lincoln High’s Career Academy and already taking college courses. For years, she and Asha worked toward her dream of college. 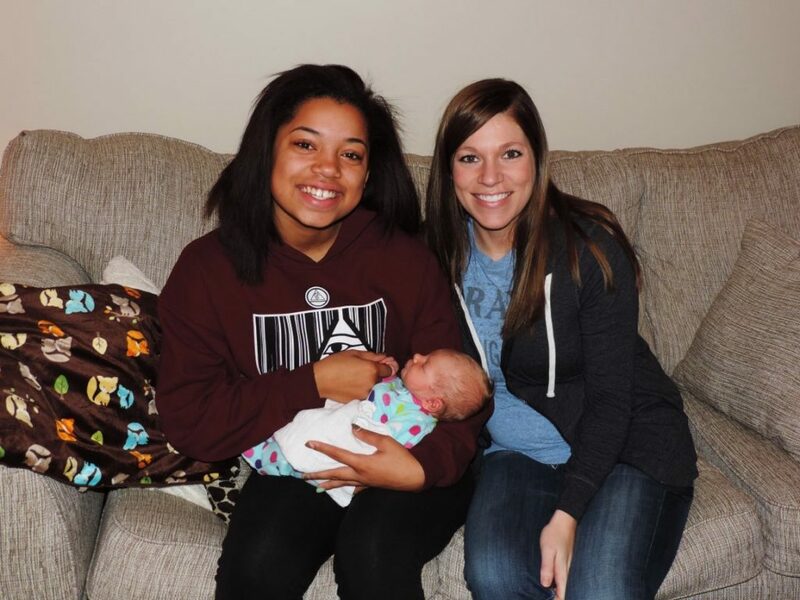 When Amara learned that she was accepted to the University of Nebraska Omaha, she was overwhelmed. “I couldn’t believe it. I am going to college. I did it!” Amara exclaimed. 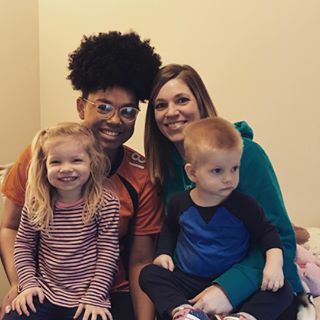 Asha and Amara have been a mentor pair for six years, and the two have built a relationship that will continue for many more. 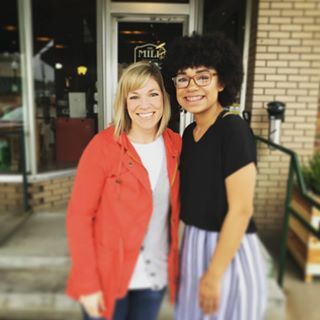 The countless hours spent working, planning, connecting, and laughing together have created a beautiful bond between them, at the center of which is Jesus. Congratulations, Amara! We are so proud of you. We can’t wait to see where God takes you! Asha, we are so thankful for you. Your love and dedication are the heart of the Strengths for Life Mentoring program!